This summer please DO a minimum of 15 minutes of quiet sustained reading each day. There are numerous studies that support good readers read often. Our goal at P.C.R.S. to assist in students in developing a LOVE of Reading. I have seen great improvement in my student's Reading skills since we adopted a D.E.A.R., "Drop Everything And READ" program for 15 minutes each school day. Print and use the Reading log to keep track of your reading. After you finish reading an entire book, please rate your book. 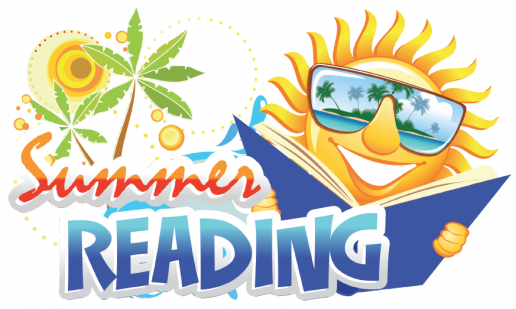 In August, we will create a Summer Reading Blog from your favorite books that were read this Summer. This blog will help identify books of interest to you and your classmates throughout your fifth grade year. Also, each student will create a book movie trailer (using software similar to iMovie) about your favorite book. Try to get a head start on your Reading Counts books. You can check to see if a book has a Reading Counts test by going to the school’s website and under the parent/student tab you will find Reading Counts info and a place to check and see the Reading level (based on grade level) and availability of Reading Counts quizzes for your book. You will be able to take Reading Counts tests online. I do not want to limit you to a specific book and author. Check out the "Hot Book Picks" list from last year's Fifth Grade. They gave all of those books a five star rating. There is a larger list of good book picks at the Diocese of Richmond website included within the Fifth Grade Language Arts Curriculum.